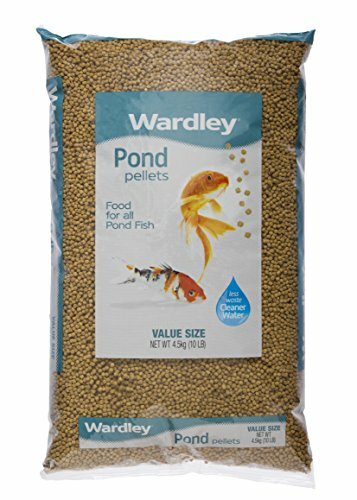 Nutritionally balanced food formulated for all pond fish. 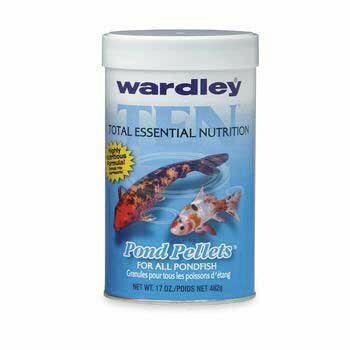 This highly digestible formula is specifically designed for the energy needs of koi and goldfish. 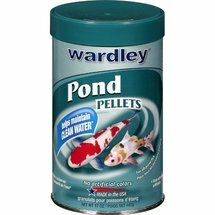 Wardley takes care of the science so that you can enjoy your fish. 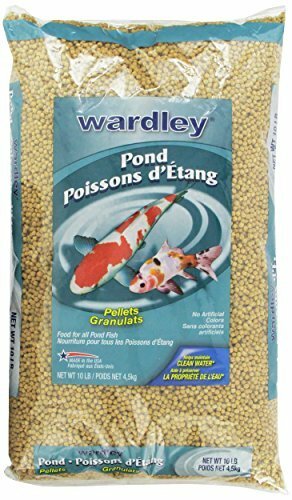 This scientifically developed premium pellet diet is ideal for koi and other ornamental pond fish. 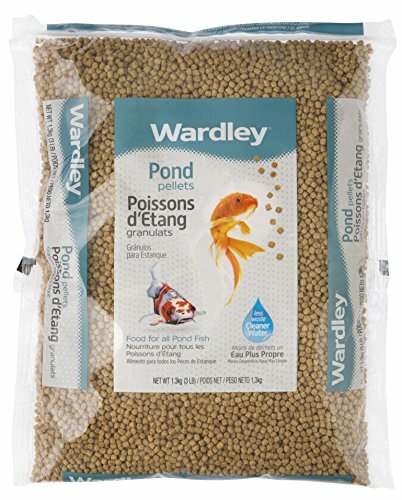 This high-quality protein diet supports normal growth and is specifically formulated with fish meal, a highly digestible protein source for better nutrition, less waste and cleaner water. Koi plus contains the natural color enhancers beta carotene & astaxanthin to enrich the beautiful Red, Orange, and Yellow colors in your fish. 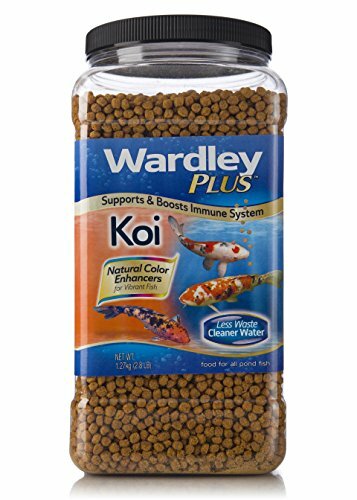 Koi plus contains beta glucan to stimulate the immune system and help protect against harmful bacteria, GARLIC as a rich antioxidant source and appetite stimulator, and zeolite to reduce toxic ammonia excretion by fish. Koi plus contains no artificial colors or dyes that can harm fish or cloud water. 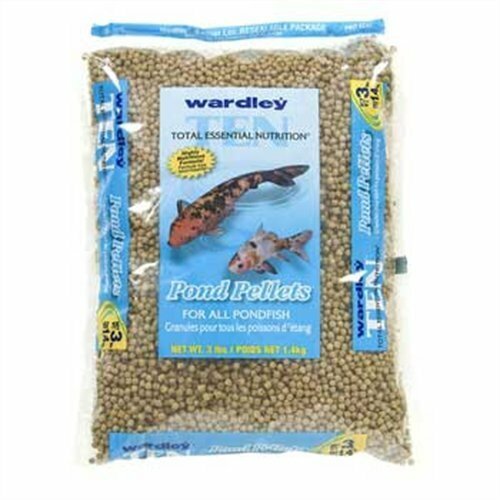 Wardley has been helping you enjoy your fish since 1950. Made in the USA. 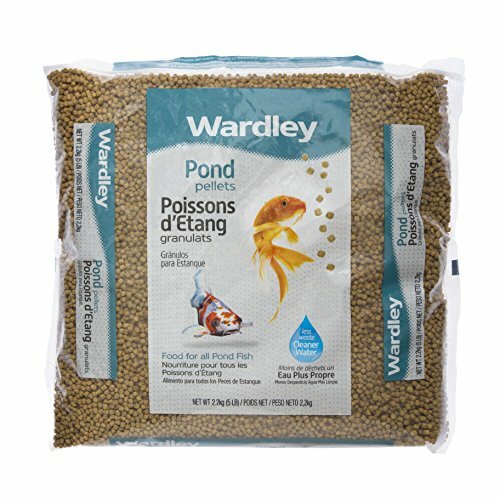 Compare prices on Hartz Wardley Pond Pellets at ShoppinGent.com – use promo codes and coupons for best offers and deals. Start smart buying with ShoppinGent.com right now and choose your golden price on every purchase.